Please note that we have had to temporarily relocate to an alternative premises as our studio has been damaged in the recent flooding event. Our new venue is a beautiful private yoga studio and because of this we will be communicating the venue when students book into class. Bookings are essential. At this stage we are not taking any new students as the space size is limited and we need to give priority to our current students. We apologise for any inconvenience and hope to be back in our home again soon. Please call us on 0403 241 866 to ask any questions. Yoga is as simple as that. 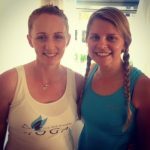 Welcome to Townsville’s only ashtanga yoga studio. Are you new to yoga? Interested in developing strength, flexibility and relaxation (plus much more) in your life? We are committed to helping you feel welcome to the studio, so that you can explore the benefits of Ashtanga yoga at your own pace. The best yoga class for you is the one that fits into your life so you can attend on a regular basis. We have ashtanga yoga classes Monday to Saturday for all levels and hope you can find a class that suits you. We look forward to welcoming you to the studio soon. We do our best to provide a relaxing and supportive environment in Townsville, for people to practice ashtanga yoga at their own pace. We encourage all students to be mindful of each other and ask that you consider the following while at the studio to ensure everyone has the best experience possible. We run regular Introduction to Ashtanga Yoga courses for beginners and invite International teachers to Townsville for workshops for continuing students all year round. Bookings for courses and workshops are essential as spaces are limited and do sell out quite quickly. Avoid missing out and book early very easily on this website. "What got me hooked? 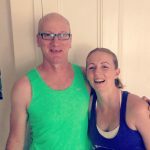 Allison's and Harry's encouragement - I was a little embarrassed at first with how inflexible and unfit I was, but Allison and Harry have the knack of individualising the postures, even when you're part of a class, allowing you to forget about what you can't do and focus on what you can do and then working on improving." "I can't imagine a more supportive, welcoming environment. Allison and Harry are both wonderful teachers, so dedicated and encouraging. Allison makes me feel like anything is possible! I like the sense of community too, it's nice to have a chat after class and even start to think about some further ideas in the yoga tradition. Basically, no matter how I felt on the way in, I don't think I've ever left the studio without a smile on my face." 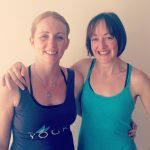 "You don’t need to be a flexible, young, fit etc… yoga practice can be tailored to every body. It is by far one of the most challenging things I have ever done, even after an early morning practice when your body just didn’t want to join the party, you still walk out feeling as though you could take on the world… Just do it, embrace it and enjoy it!" Highly experienced and compassionate teachers. All of our regular teachers practice Ashtanga yoga and further their studies on a continuing basis. We regularly host internationally recognised teachers for workshops and intensives, bringing the best in the world to you. Beautiful sanctuary-like surroundings and welcoming community. You can learn the profound effects that ashtanga yoga can have on your life and your body, improve your health and wellbeing, join in a wonderful supportive community, and have fun along the way. Ready to move, breathe and relax? Get exclusive email updates..